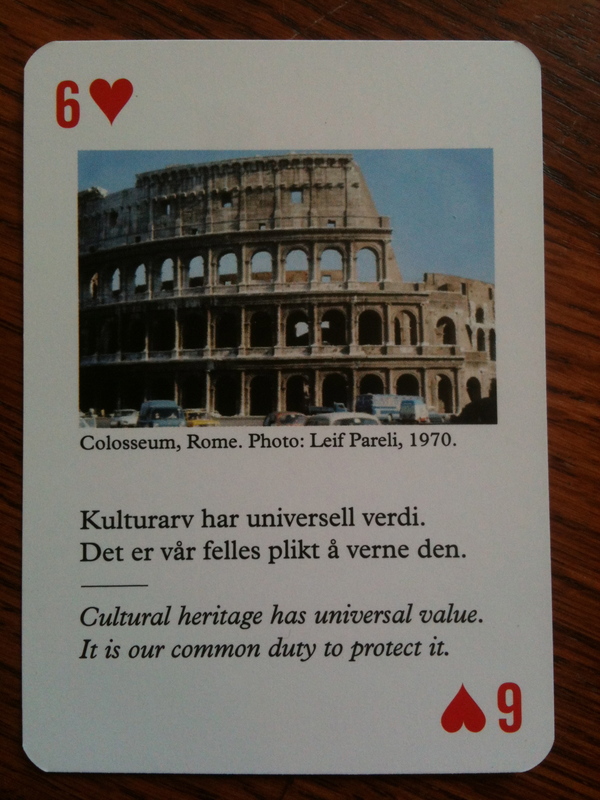 In light of World Heritage Day on April 18th, one of the most innovative public education campaign tools available is the Protect Cultural Heritage playing cards and brochures created by the Norwegians. A team of military, cultural heritage and arts professionals have collaborated to create playing cards appropriate for all social and business sectors that intersect with looting or damage of cultural heritage sites: military, customs, police, diplomatic, international businesses, museums and even more ingenious and essential – tourists, antique dealers and collectors. The Norwegian are not the first to create educational cultural heritage cards for distribution in conflict or war zones. Yet, they may be the first to actually engage a public awareness education and prevention campaign. For conflict zones, a number of international efforts have created education tools to help protect cultural heritage. The U.S. Department of Defense created playing cards to educate on Iraq, Afghanistan and Egyptian heritage. The Dutch have their own set as well that educate on the broader on the topic of cultural heritage and protection. Now, the first contingent of Norwegian Armed Forces with these playing card are entering Syria. For World Heritage Day on April 18th, take one action to help educate colleagues in international business, diplomacy, military, travelers, ancient souvenir collectors and the general public. What action will you take? “The illegal trade in goods and services often funds unscrupulous people involved in human trafficking, the illicit ivory trade and other areas that cause immense suffering and destruction. Well-informed tourists can make a real difference in turning the tide against these criminal acts.” says UN Secretary-General Ban Ki-moon. 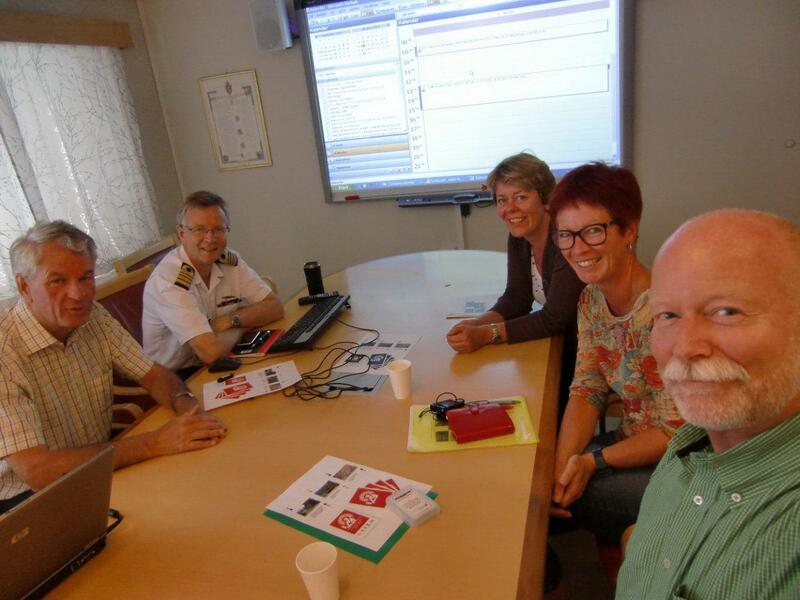 Tags: Afghanistan, Anne Nyhamar, Arts Council Norway, Axel Mykleby, Blue Shield Norway, Cultural Heritage, Directorate for Cultural Heritage, Dutch, Egypt, ICOM Norway, Iraq, Leif Pareli, Liv Ramskaer, middle-east, Norwegian Armed Forces, Tom Staib, UNESCO, US military. Bookmark the permalink.